Both commercial and residential HVAC systems serve the same purpose of cooling, ventilation, and heating, but they significantly vary when it comes to working principle, cost, and operations. The commercial HVAC systems are used in big workplaces while the residential units are designed for houses or small buildings. If you are planning to invest in HVAC systems or need a trustable HVAC contractor for your existing system, it’s essential for you to understand the differences between both the HVAC variants. Below here some major differences have been mentioned, to clear your concept regarding commercial and residential HVAC systems. Placement – Commercial HVAC systems are placed on the building’s roof or in swamp coolers. 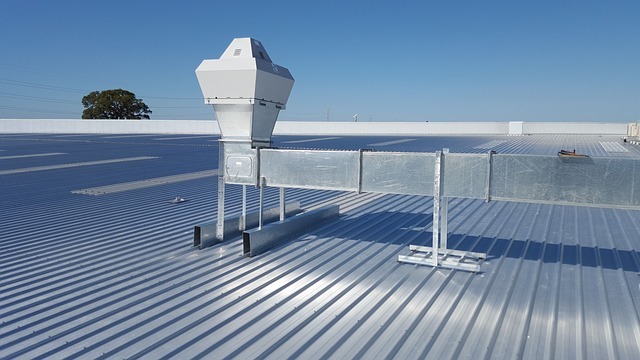 These HAVC systems take up large spaces for installation, and that’s why are kept away from the regular commercial spaces.Also, the roof-top placements help the technicians to work on the units, without disturbing the internal aspects of commercial place. On the other hand, the residential HVAC systems are placed on the ground, either in the backyard or the sides.Both the HVAC systems make high noise, and accordingly are placed away or above the building. Size–As compared to the commercial HVAC units, the residential systems are smaller and consume less storage space. The commercial HVAC systems are designed to serve a larger area, and are thus bigger in size. They require more amount of power to maintain the temperature of commercial spaces. Also, the commercial systems vary in terms of components like dampers, evaporators, compressors, condenser fans, blowers, and thermostats. Mechanism–The residential HVAC systems offer stand-alone mechanism while the commercial units represent modular installation. As the residential units are standalone, all the parts are split between indoors and outdoors. In case, any one unit fails, the entire system needs to be replaced; no scope for modification or expansion.On the other hand, the commercial HVAC systems are modular, and placed all together. This ensures good flexibility in terms of maintenance for commercial units. Drainage –The drainage system in commercial HVAC units is complex and larger as compared to residential systems. As the residential units serve a smaller area, a single condensation pan is used to drain the water outside. While the commercial HVAC systems require multiple pipes for complete drainage and to eliminate the overflowing issues. Maintenance cost –As the commercial HVAC units are larger in size and have more components, the maintenance expenses are higher. Also, the working principle of commercial units is totally different from the residential HVAC system. In case, your commercial unit is down, you need to hire an experienced HVAC contractor for maintenance and repairing. The residential systems are small, thus the maintenance costs are low here. Depending on your HVAC variant – commercial or residential, the installation and maintenance process varies. It is your responsibility to hire the right HVAC contractor, who has specialization in your HVAC system. For information about commercial and residential HVAC services, contact us today!